محمدخانی, فرزاد, شوکتی, ناصر, فرخی, نوید, رنجبر, فرامرز. (1394). مطالعه پارامتریک بازیابی گرما از سلول تست موتور با بکارگیری سیکل رانکین با سیال آلی. نشریه پژوهشی مهندسی مکانیک ایران, 17(2), 6-22. فرزاد محمدخانی; ناصر شوکتی; نوید فرخی; فرامرز رنجبر. "مطالعه پارامتریک بازیابی گرما از سلول تست موتور با بکارگیری سیکل رانکین با سیال آلی". نشریه پژوهشی مهندسی مکانیک ایران, 17, 2, 1394, 6-22. محمدخانی, فرزاد, شوکتی, ناصر, فرخی, نوید, رنجبر, فرامرز. (1394). 'مطالعه پارامتریک بازیابی گرما از سلول تست موتور با بکارگیری سیکل رانکین با سیال آلی', نشریه پژوهشی مهندسی مکانیک ایران, 17(2), pp. 6-22. محمدخانی, فرزاد, شوکتی, ناصر, فرخی, نوید, رنجبر, فرامرز. مطالعه پارامتریک بازیابی گرما از سلول تست موتور با بکارگیری سیکل رانکین با سیال آلی. نشریه پژوهشی مهندسی مکانیک ایران, 1394; 17(2): 6-22. برای ارزیابی عملکرد موتور لازم است موتور به صورت تجربی آزمایش گردد. مقدار زیادی از انرژی سوخت در محفظه تست موتور تلف می­شود. در این مطالعه یک سیکل رانکین با سیال آلی به منظور تولید توان از این گـرمای اتلافی مورد استفاده قــرار گرفته است.گـرمای اتلافی در سه مبادله­کن گرمایی شامل پیش­گرمکن، تبخیرکن و فوق­گرمکن بازیابی می­شود. این مبادله­کن­های گرمایی بصورت جداگانه طراحی شده­اند و کل سیستم از دیدگاه انرژی و اگزرژی تحلیل شده است. در نهایت یک مطالعه پارامتری به منظور بررسی تاثیر مشخصه­های دمایی بازیابی گرما بر پارامترهای مهم ترمودینامیکی و انتقال حرارت سیستم انجام شده است. نتایج نشان می­دهند که سیکل رانکین با سیال آلی با بهره­گیری از گرمای اتلافی توانی معادل%85/8 توان موتور را بازیابی می­کند. Abusoglu, A., and Kanoglu, M., "First and Second Law Analysis of Diesel Engine Powered Cogeneration Systems", Energy Conversion and Management, Vol. 49, pp. 2026-2031, (2008). Schuster, A., Karellas, S., Kakaras, E., and Spliethoff, H., "Energetic and Economic Investigation of Organic Rankine Cycle Applications", Applied Thermal Engineering, Vol. 29, pp. 1809-1817, (2009). Drescher, U., and Bruggemann, D., "Fluid Selection for the Organic Rankine Cycle (ORC) in Biomass Power and Heat Plants", Applied Thermal Engineering, Vol. 27, pp. 223-228, (2007). Bruno, J.C., Villad, J.L., Letelier, E., Romera, S., and Coronas, A., "Modeling and Optimization of Solar Organic Rankine Cycle Engines for Reverse Osmosis Desalination", Applied Thermal Engineering, Vol. 28, pp. 2212-2226, (2008). Kanoglu, M., and Bolatturk, A., "Performance and Parametric Investigation of a Binary Geothermal Power Plant by Exergy", Renewable Energy, Vol. 33, pp. 2366-2374, (2008). Vaja, I., and Gambarotta, A., "Internal Combustion Engine (ICE) Bottoming with Organic Rankine Cycles (ORCs)", Energy, Vol. 35, pp. 1084-1093, (2010). Al-Sulaiman, F.A., Dincer, I., and Hamdullahpur, F., "Exergy Analysis of an Integrated Solid Oxide Fuel Cell and Organic Rankine Cycle for Cooling, Heating and Power Production", Journal of Power Sources, Vol. 195, pp. 2346-2354, (2010). Kang, S.H., "Design and Experimental Study of ORC and Radial Turbine using R245fa Working Fluid", Energy, Vol. 41, pp. 514-524, (2012). Rentizelas, A., Karellas, S., Kakaras, E., and Tatsiopoulos, I., "Comparative Techno-economic Analysis of ORC and Gasification for Bio Energy Applications", Energy Conversion and Management, Vol. 50, pp. 674-681, (2009). Gewald, D., Karellas, S., Schuster, A., and Spliethoff, H., "Integrated System Approach for Increase of Engine Combined Cycle Efficiency", Energy Conversion and Management, Vol. 60, pp. 36-44, (2012). Wang, E.H., Zhang, H.G., Zhao, Y., Fan, B.Y., Wu, Y.T., and Mu, Q.H., "Performance Analysis of a Novel System Combining a Dual Loop Organic Rankine Cycle (ORC) with a Gasoline Engine", Energy, Vol. 43, pp. 385-395, (2012). Wang, T., Zhang, Y., Jie, Z., Shu, G., and Peng, Z., "Analysis of Recoverable Exhaust Energy from a Light-duty Gasoline Engine", Applied Thermal Engineering, in press. Hountalas, D.T., Mavropoulos, G.C., Katsanos, C., and Knecht, W., "Improvement of Bottoming Cycle Efficiency and Heat Rejection for HD Truck Applications by Utilization of EGR and CAC Heat", Energy Conversion and Management, Vol. 53, pp. 19-32, (2012). 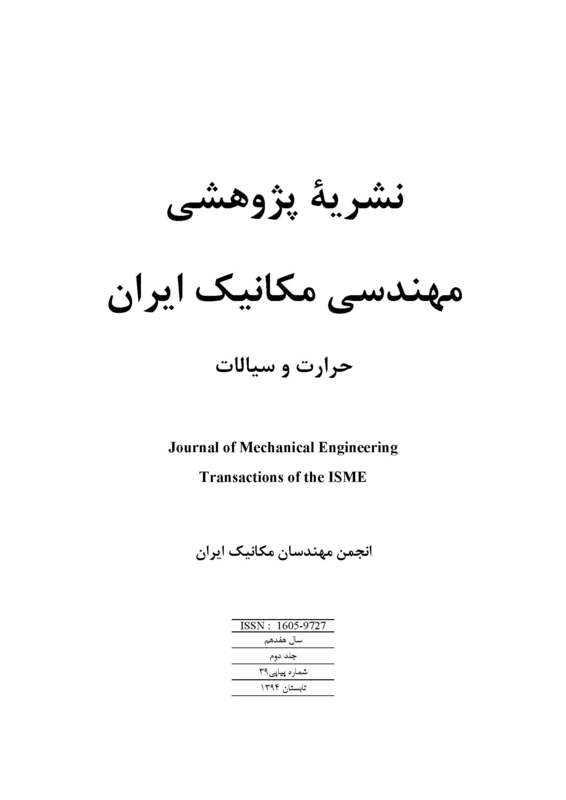 Katsanos, C.O., Hountalas, D.T., and Pariotis, E.G., "Thermodynamic Analysis of a Rankine Cycle Applied on a Diesel Truck Engine using Steam and Organic Medium", Energy Conversion and Management, Vol. 60, pp. 68-76, (2012). Zhang, H.G., Wang, E.H., and Fan, B.Y., "Heat Transfer Analysis of a Finned-tube Evaporator for Engine Exhaust Heat Recovery", Energy Conversion and Management, Vol. 65, pp. 438-447, (2013). Wall, G., "Exergy Flows in Industrial Processes", Energy, Vol. 13, pp. 197-208, (1988). Abusoglu, A., and Kanoglu, M., "Exergetic and Thermoeconomic Analyses of Diesel Engine Powered Cogeneration: Part 2–Application", Applied Thermal Engineering, Vol. 29, pp. 242-249, (2009). Kays, W.M., and London, A.L., "Compact Heat Exchangers", 3rd Edition, McGraw-Hill, New York, (1984). Bejan, A., and Kraus, A.D., "Heat Transfer Handbook", John Wiley & Sons, New Jersey, (2003). Huang, X., Wang, H., and Wang, H., "Experimental Study on Evaporating Heat Transfer Characteristics of HFC-245fa", Journal of Wuhan University of Technology, Vol. 33, pp. 67-71, (2011). Ghiaasiaan, S.M., "Two-phase Flow, Boiling and Condensation in Conventional and Miniature Systems", Cambridge University Press, New York, (2008).